You may now designate your Fund for UofL gift to the school, college or library of your choice. Your tax-deductible gift benefits the area you choose. Contributors may now support the University and the Law School by donating to the Law Library. Your gift will be used to buy books, furnishings, or equipment that will directly benefit students, faculty, and other patrons. Complete the Fund for UofL online giving form. 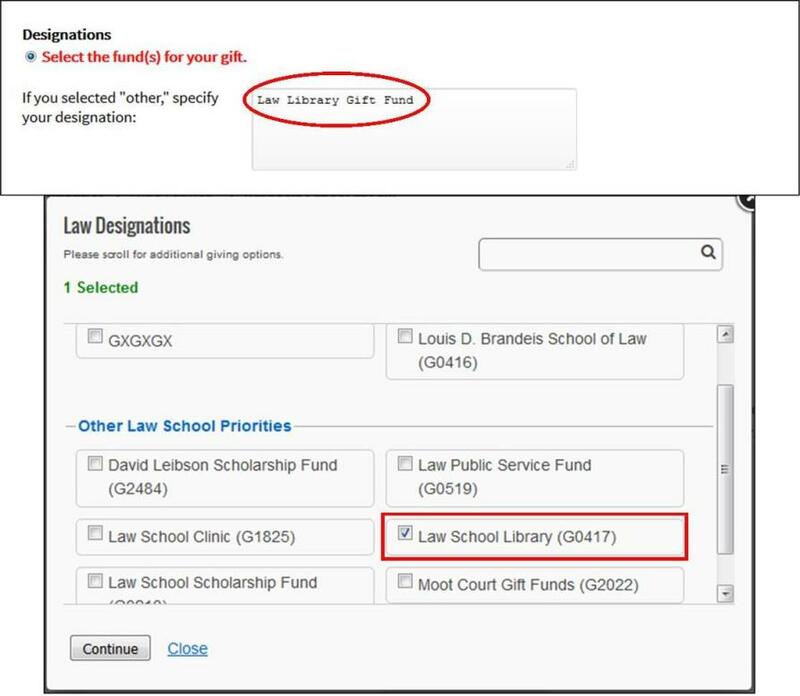 Under Designations, select the fund "Law School Library (G0417)" and enter "Law Library Gift Fund" in the text box.